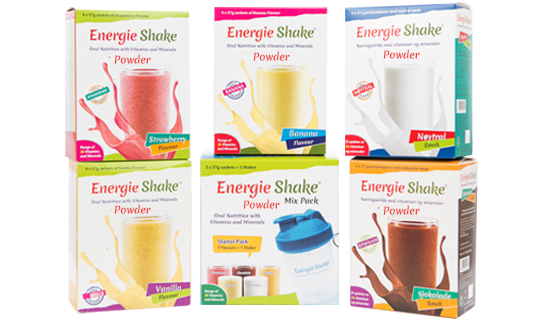 EnergieShake® Powder is designed as a food for special medical purposes for the patients with or at risk of disease related malnutrition. It is a powdered nutritional supplement with high-energy, high protein with added carbohydrate, fat, vitamins and minerals. 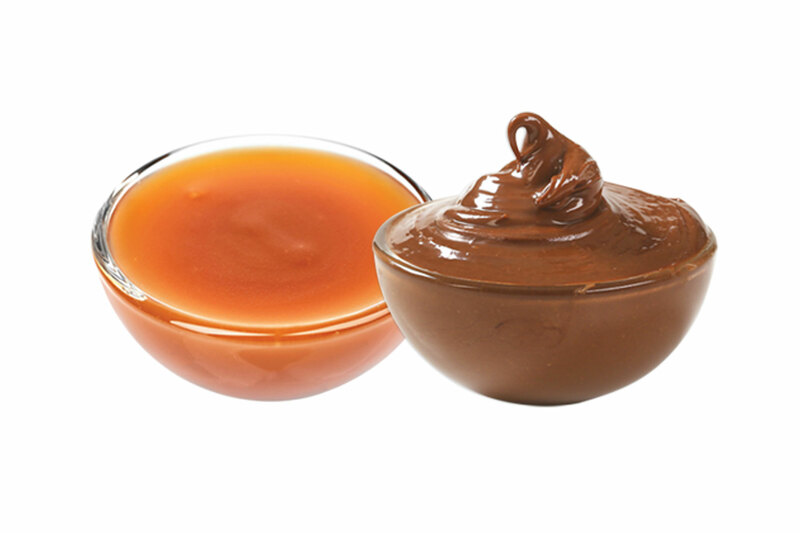 can be prepared by mixing 200 ml whole milk or water + 57g sachet in a glass or mug and stirred with a fork until smooth. It cannot be used as a sole source of nutrition and can be used as a supplement to diet. 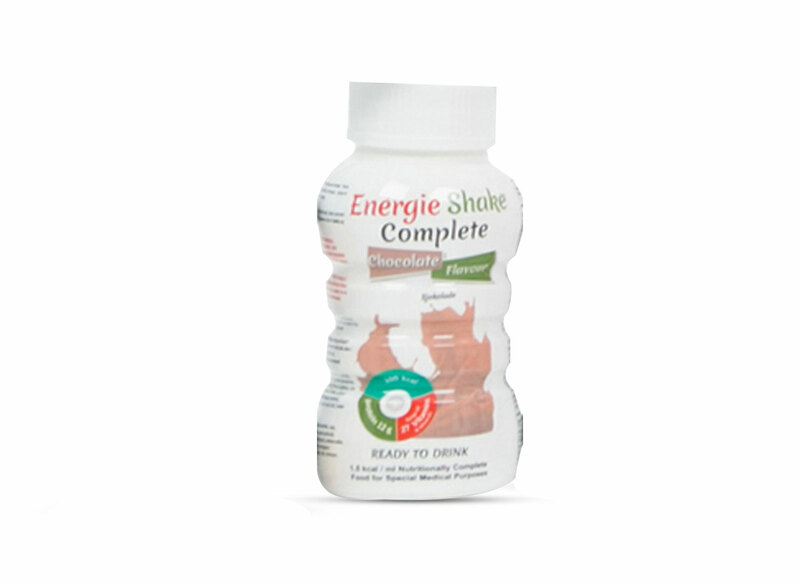 EnergieShake® Complete 1.5 kcal/ml is designed as a Food for special Medical purposes for the dietary management of patients with or at risk of disease related malnutrition. It is suitable as a supplement to the diet or can be used as a sole source of nutrition for patients who cannot or will not eat sufficient quantities everyday. 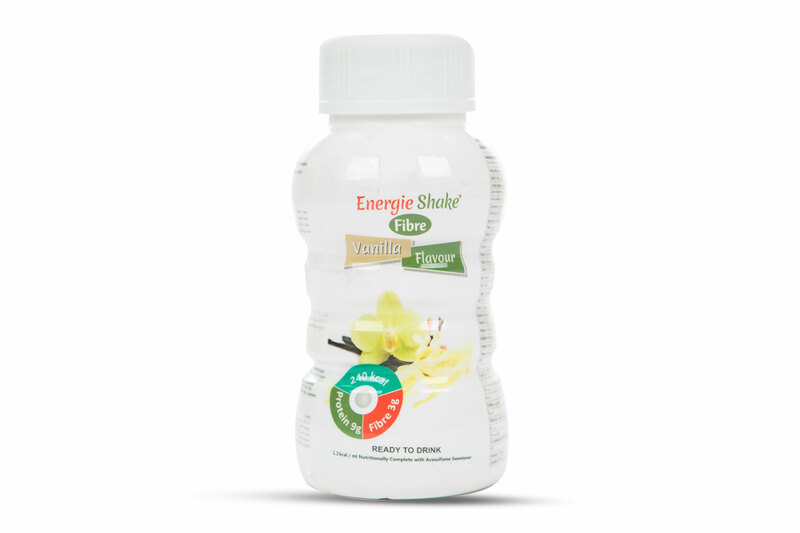 EnergieShake® Fibre 1.2kcal/ml is designed as a Food for special Medical purposes for the dietary management of patients with or at risk of disease related malnutrition. 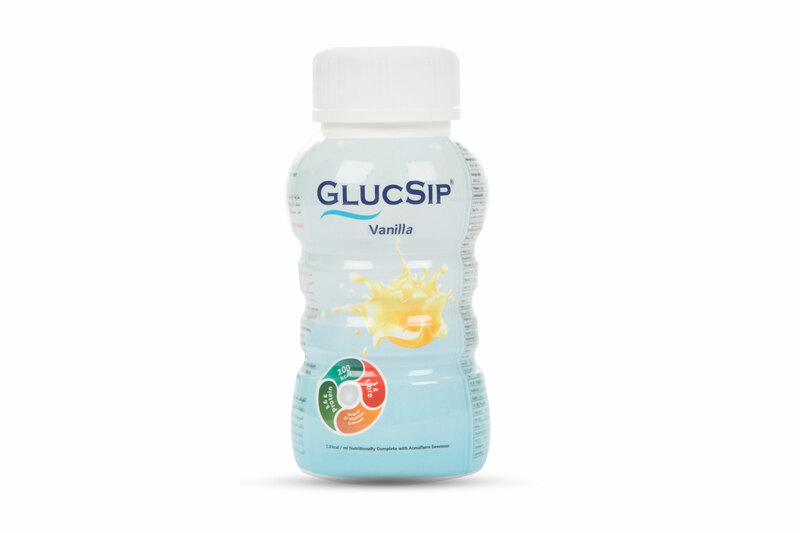 It’s is energy rich and nutritionally complete to be used under medical supervision. Ready-to-eat. 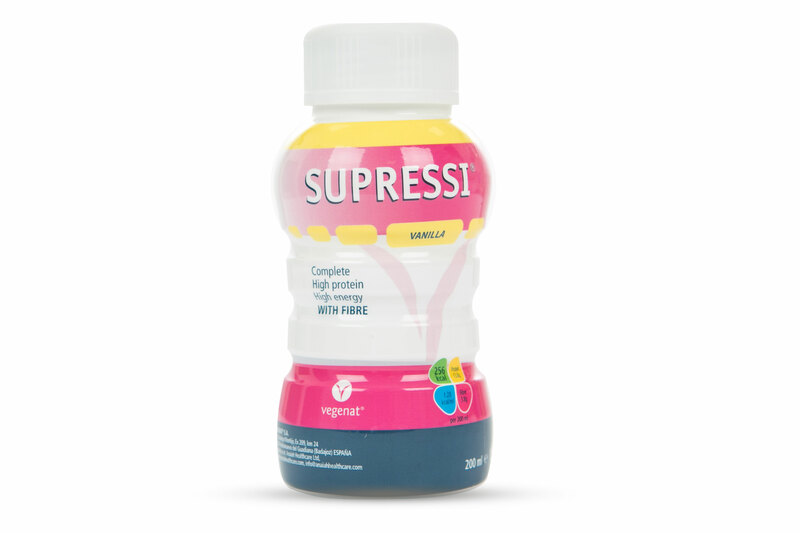 To be taken as a nutritional supplement in cases of under nutrition, or difficulty swallowing liquids. 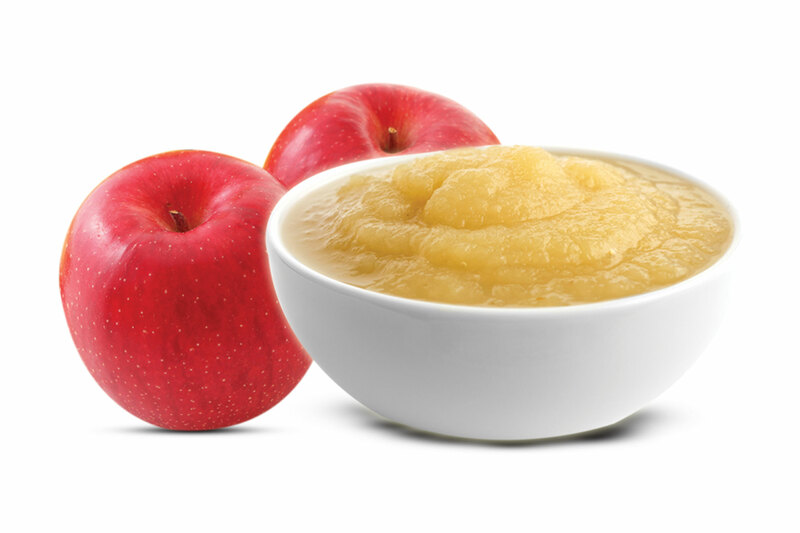 EnergieShake® Dessert is designed as a Food for special Medical purposes for the dietary management of patients with or at risk of disease related malnutrition. It is not suitable as a complete source of nutrition and can be used as a supplement to diet.